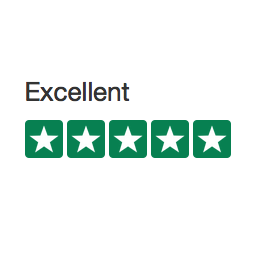 Over a thousand have left reviews on Trustpilot and here are a few of our personal favourites. Please help us to improve - we'll send you a link to review us when we've printed your order. Easy order process. Items received earlier than anticipated. Just as ordered. Couldn't ask for more!! Easy to use the website, not had any issues with products provided, team very helpful. I can honestly say the service i have received from printing.com has been fantastic. Over the years i've used many printers but none come close. I would highly recommend to anyone. Spoke to John in the morning, flyers printed that afternoon. Dispatched next day, and arrived a day early. They certainly have my business. Am new to the publicity field, and just needed a simple low-cost option. Printing.com fitted the bill perfectly - thanks very much! "Fantastic service & very professional"
Amazing service from start to finish.... Good listening and really helpful advice given.... Thank you my flyers look brilliant. "I should never of gone anywhere else!" After using printing.com for 10 years I used a more local company - I wish I hadn't! I gladly went back to printing.com. So much more professional & quality finish.